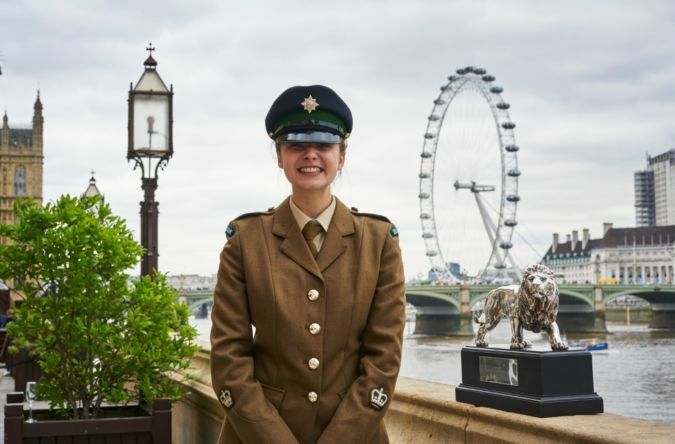 An ACF cadet has been announced as the overall winner of the 14th annual Duke of Westminster Award, beating stiff competition from hundreds of cadets from across the cadet forces. Isabella Scanio (18) from Rickmansworth Detachment, Bedfordshire and Hertfordshire ACF, was announced as the overall winner at a prestigious ceremony, held at the House of Lords on 29 June, attended by the 10 finalists. Commenting on the win, Commandant Colonel Andrew Every said: "A massive well done to Isabella from me and everyone at Beds & Herts ACF," adding, "We are very proud." Isabella, who is in Year 13 and planning to study ancient history at Nottingham University next year, was nominated by her County Vocational Qualifications Officer Craig Bond. In the nomination, Craig said that Isabella had been Assistant Directing Staff (ADS) on many company weekends and had taught lessons to basic cadets, as well as 3 and 4 star cadets. He also talked about her desire to ensure all cadets are treated equally and to try to empower female cadets to want to do more and stand up for themselves. Isabella also worked specifically with one cadet who was preparing a presentation and needed coaching and a confidence boost to do so. In the nomination Craig also highlighted Isabella's work with the Mini Micks team. For the past three years Isabella trained the team for an annual military skills competition – organising and encouraging the team to meet up and practice their skills, and have regular tests. Craig also mentioned that the detachment has organised three commemorative events at the Rickmansworth British Legion, all of which Isabella has helped to lead. 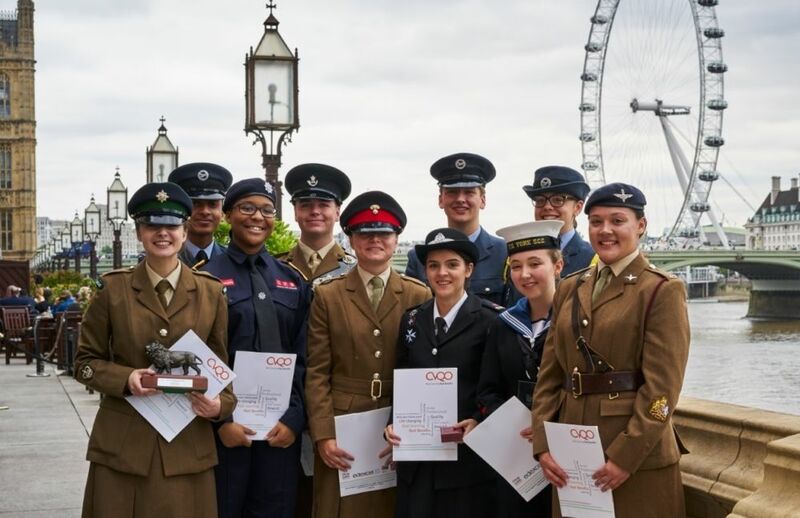 "It is an absolute honour to be given this award, and I am incredibly grateful to CVQO, for everything they have done for myself and the other cadets," Isabella said following the win. Nominees for the Duke of Westminster's Award have to demonstrate acts of selflessness, determination and the ability to overcome personal adversity. To be selected as one of the 10 finalists, candidates have to complete a written assignment and make it through to a four-day selection event involving a range of activities such as outdoor activities, group tasks, problem solving, an interview and a presentation. This year, four ACF cadets made it through to the final 10. Joining Isabella at the House of Lords event were: Nancy McKenna, from Consett Detachment, Durham ACF, Phoebe Mercer from Ixworth Detachment, Suffolk ACF, and Jamie Tointon from Poole Detachment, Dorset ACF. They also got the chance to visit 10 Downing Street. To be eligible for nomination into next year’s CVQO Westminster Award, cadets simply have to be enrolled on or have completed a CVQO-led BTEC Level 2 qualification (Teamwork and Personal Development in the Community or Music for Practical Performance) and fit the age criteria. As a guideline, this year states nominees must be over 16 on 1 September 2016 and under 19 on 1 September 2017. Registrations for these qualifications are open now. To register your interest, simply click here and fill in this form. For more images from the 2017 Duke of Westminster awards event, visit the CVQO Westminster Award Lunch 2017 Flickr page.